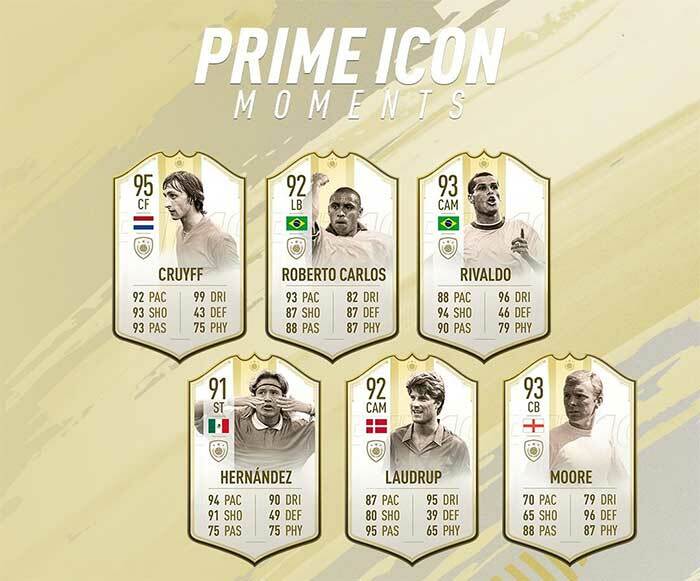 New improved Prime ICONS are being released for the first time ever this year. 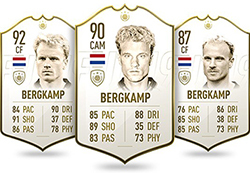 Discover more about FIFA 19 Prime ICON Moments on this page. 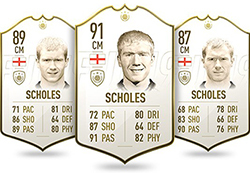 To celebrate heroic Moments of ICON’s in their Prime, special new versions of select ICONS will be released in packs. 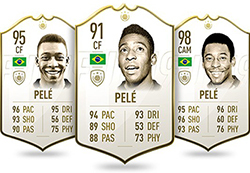 These new FUT 19 items look set to change the current meta of FUT cards, as they are upgraded versions of Prime ICONs. 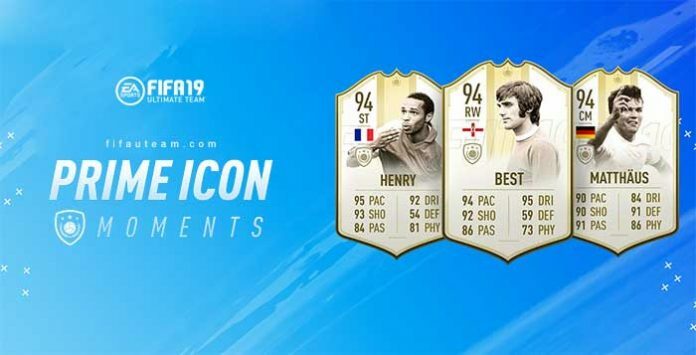 The first FIFA 19 Prime ICON Moments items will be released on February 15 (Friday). 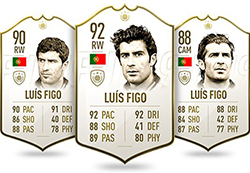 Thirty Four select ICONS will have a special Prime ICON Moments version released during Winter Refresh, with more select Prime ICON Moments to follow during the course of FUT 19. 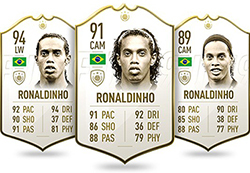 These cards are slightly better than the base Prime versions and feature dynamic images. 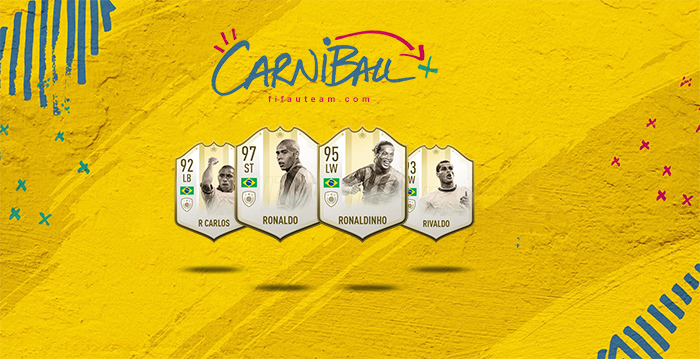 They represent the highest rated version of an ICON in FUT 19 with ratings upgrades inspired by their Prime ICON moment. 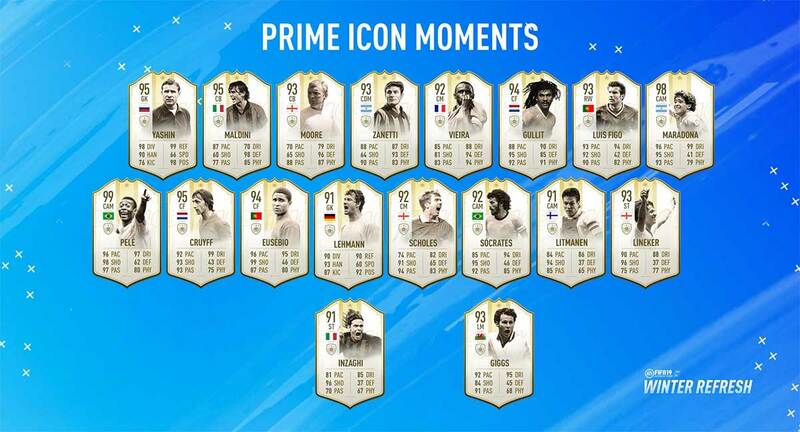 If an ICON has had a Prime SBC and is one of the select ICONS to get a Moments version, there will be an opportunity to use the SBC item when the Moments SBC gets released, later in FUT 19. 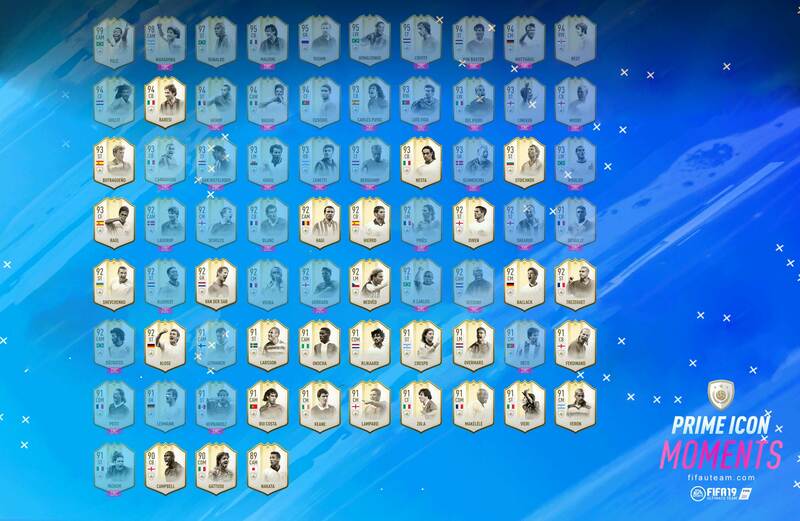 Here is the complete list of FIFA 19 Prime ICON Moments announced so far. Diego Maradona (born 30 October 1960 in Buenos Aires) is a retired Argentine footballer. Regarded by many as one of the greatest footballers of all time, Maradona was joint winner of the FIFA Player of the 20th Century award. During a career which included spells in Argentina, Spain and Italy, Maradona is the only footballer to have twice broken the world record transfer fee when signing for Barcelona and Napoli. Maradona scored 34 goals in 91 appearances for Argentina, winning the 1986 World Cup and the FIFA Goal of the Century award for his second goal against England in 1986. 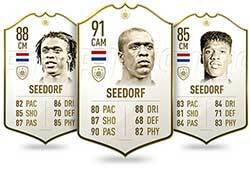 He is one of the greatest FIFA 19 Icons. Gary Lineker (born 30 November 1960) is a retired English striker whose goal scoring record during the 80s and 90s in England made him one of the most prolific scorers of his time. Lineker is to date the only Englishman to win the Golden Boot award at a World Cup finals, and won numerous individual goal scoring awards throughout his career. 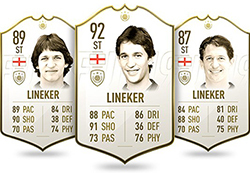 As well as being renowned for his crisp finishing, Lineker famously ended his time as a player with the incredible feat having never been booked through his entire career. Peter Schmeichel (born November 18 1963) is a retired Danish goalkeeper, and was voted the world’s best goalkeeper in 1992. He is best remembered for his successful time at Manchester United, where he helped lead the club to an unprecedented treble of league, league cup and European glory in 1999. He is a record setting goalkeeper and boasts a fine resume of awards and accolades, including the record for greatest clean sheets-to-game ratio in the English Premier League. 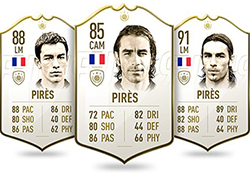 Robert Pirès (born 29 October 1973 in Reims) is a former French winger who was widely regarded as one of the best attacking midfielders of his generation. He boasts winners’ medals from both the World Cup in 1998 and the European Championships in 2000, where he famously provided the assist in the final which secured France the title on Golden Goals. He is fondly remembered by Arsenal fans for his six year spell at the club which peaked with the team winning two Premier League titles in 2002 and 2004 – where Pirès was an integral member of Arsenal’s unbeaten ‘Invincibles’. Deco (born 27 August 1977) is a retired, Brazilian-born, Portuguese attacking midfielder. 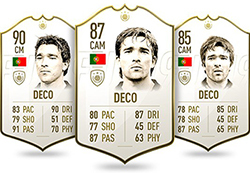 Despite his upbringing in Brazil, Deco ended up in Portugal at the age of 19 and soon joined Porto where he made his name on the world stage. After five highly successful years at Porto, Deco made a big money switch to Barcelona and was named Ballon d’Or runner up later that same year. After a later spell at Chelsea, Deco ended his career at Fluminense in his native Brazil. 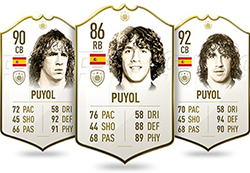 It looks that he will keep playing at least for another season, as one of the FIFA 19 Icons. Filippo Inzaghi (born 9 August 1973 in Piacenza) is a former Italian striker. 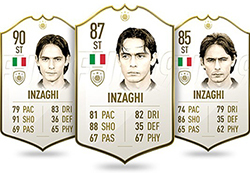 Renowned for playing on the shoulder of the last defender, Inzaghi began his career at his hometown of Piacenza. He later spent time at Parma and then Atalanta, where he went on to make his name and become Serie A’s top goal-scorer with 24 goals in the 1996-97 season. Inzaghi would later play for two Italian giants in the form of Juventus and AC Milan, where scored a combined 215 goals in 465 appearances. Inzaghi scored 25 goals during an excellent international career and won a World Cup winners medal in 2006. Johan” Cruyff (25 April 1947 – 24 March 2016) was a Dutch professional football player and coach. As a player, he won the Ballon d’Or three times, in 1971, 1973, and 1974. Cruyff was the most famous exponent of the football philosophy known as Total Football explored by Rinus Michels, and is widely regarded as one of the greatest players in football history. In the late 1960s and early 1970s, Dutch football rose from obscurity to become a powerhouse in the sport. Cruyff led the Netherlands to the final of the 1974 FIFA World Cup and received the Golden Ball as player of the tournament. At the 1974 finals, he executed a feint that subsequently was named after him, the “Cruyff Turn”, a move widely replicated in the modern game. With his incredible technical skills, Johan Cruyff was the master of footballing trickery. This is reflected no better than by the fact that to this day Cruyff has a famous piece of skill named after him. Instigated at the 1974 FIFA World Cup™, Cruyff produced a moment of magic where his quick turn and change of direction left Swedish defender Jan Olsson for dead and the ‘Cruyff Turn’ was created and would be attempted to be replicated by generations to come. Rivaldo Ferreira (born 19 April 1972 in Recife) was one of the most skillful and creative players of his generation. He was renowned for his bending free kicks, bicycle kicks, powerful ball striking from distance, and ability to both score and create goals. In 1999, he won the Ballon d’Or and was named FIFA World Player of the Year. Bobby Moore (born 12 April 1941) is regarded as English football’s greatest hero. 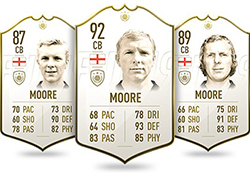 A centre-back by trade, Moore’s game was typified by his exceptional composure and defensive intuition. He was known for being a world-class defender, leader, icon and a true champion. Made captain of his country at 22, Moore led his club side, West Ham United to domestic and European silverware in 1964 and 1965 respectively, before taking England to glory on home soil in the 1966 World Cup. Bobby Moore’s legacy – both as a footballer and as a man – lives on today, and will do for generations to come. Bobby Moore played an integral role in guiding England to glory in the FIFA World Cup™ final in 1966. As well as being England’s captain, Moore’s smart thinking in the first half allowed him to deliver a quick free-kick which Geoff Hurst netted to bring England to 1-1. However, he topped this moment when deep intro extra-time, Moore played a long ball forward from defence to set Hurst away to score England’s 4th and seal FIFA World Cup™ glory. Michael Laudrup (born 15 June 1964) is a retired Danish midfielder. 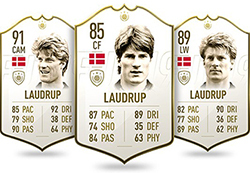 Laudrup’s illustrious career saw him play for many top European clubs including Brøndby, Lazio, Juventus, Real Madrid, Ajax and perhaps most famously, Barcelona. It was at Barcelona where Laudrup was part of one of the greatest teams in history, and his time there saw him impressively win four consecutive La Liga titles in the early 1990’s. Laudrup made 104 appearances for the Denmark national team and scored 37 goals. 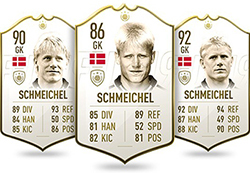 The Danish player is one of the FIFA 19 Icons. Roberto Carlos was born on 10 April 1973 in São Paulo Brazil, and is regarded as one of the greatest left backs in history. Carlos enjoyed his greatest club success at Real Madrid, where between 1996 and 2007 he helped them to many domestic and European trophies. Famed for his powerful dead ball deliveries, Roberto’s free kick against France in ‘Le Tournoi’ is widely regarded as the greatest free kick of all time. Carlos made 125 appearances for Brazil and is a FIFA World Cup medal winner. Luis Hernández (born 22 December 1968) is a retired Mexican striker. During a career that spanned 15 seasons, Hernández scored 132 league goals in 362 appearances. Despite predominantly playing for various teams in his native Mexico, Hernández also spent time at LA Galaxy in the United States and a brief loan spell at Boca Juniors in Argentina. 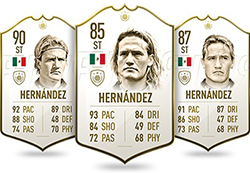 Named Mexican Player of the Year in 1997 and 1998, Hernández earned the nickname of ‘El Matador’ and played 85 times for his country, netting 35 goals. Retired in 2005 after a short stint at Lobos BUAP in Mexico. Marco van Basten (born on 31 October 1964 in Holland) is widely regarded as one of the greatest forwards of all time. 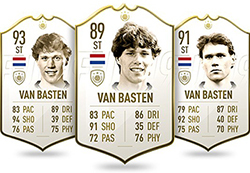 Before injury cut short his career at the age of 28, van Basten won more accolades throughout his career than most players can dream of achieving. As well as being a triple winner of the Ballon d’Or, van Basten’s career highlight came in 1988 when his spectacular volley in the European Championship final helped the Netherlands to their first major piece of silverware. His club career ended with a phenomenal record of 276 goals in just 373 appearances for Ajax and AC Milan. George Best (born 22 May 1946) was one of the greatest footballers to play the game. Famed for the 11 years he spent at Manchester United, Best was a Ballon d’Or winner in 1968 and helped United lift the European Cup the same year. Renowned for his incredible dribbling ability, Best was called “the greatest player in the world” by Brazilian legend Pelé, and with 37 caps was said to be the “greatest player to ever pull on the green shirt of Northern Ireland” by the Irish Football Association. George Best’s career highlight came in the 1968 European Cup Final at Wembley against Benfica. With the game tied at 1-1 going into extra-time, Best made the difference. Taking an exquisite first touch to beat the last defender, Best’s dummy allowed him to go around goalkeeper José Henrique to slot into an empty net. Two further late goals from Manchester United sealed a dramatic victory as they won the European Cup in their home country. One of the Premier League’s all-time great strikers, Henry’s incredibly elegant yet unbelievably deadly finishing won him the Golden Boot four times in his eight years at the club. A World Cup winner on home turf in 1998, the Frenchman is his country’s top scorer having amassed 51 goals in 123 appearances. 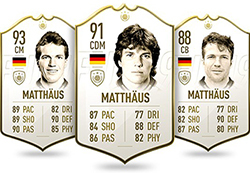 He was one of the most waited FIFA 19 Icons. Paolo Maldini (born 26 June 1968 in Milan) is a retired Italian defender and regarded as one of the greatest Italian defenders of all time. Maldini was known for being a defender who had everything and famously spent an incredible twenty five consecutive seasons at his home-town club of Milan. In total, Maldini won 26 titles and countless individual awards including runner up at the 1995 FIFA World Player of the Year awards. He went on to make the most appearances of any player in Serie A, and captained his country during an international career which saw him receive 126 caps. 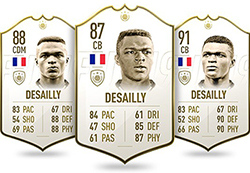 FIFA 19 Icons are stronger with him. Lev Ivanovich Yashin (born 22 October 1929) is Aarguably the greatest goalkeeper in the history of the game. The “Black Spider” remains a Dynamo Moscow icon, the club where he spent his entire 20 year career. 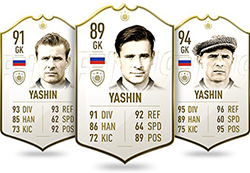 Estimated to have kept 270 clean sheets and saved over 150 penalties, Yashin remains the only keeper to ever win the Ballon d’Or. 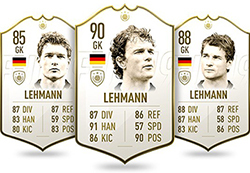 He is obviously the best goalkeeper of the FIFA 19 Icons. Alan Shearer (born 13 August 1970) is a retired English centre-forward. After a stunning debut for Southampton where Shearer scored a hat-trick, he made the move to big spending Blackburn Rovers in 1992 where he would later obtain a Premier League winners medal. A return home to his beloved Newcastle soon followed when Shearer joined for a world record fee of £15 million. Shearer retired in 2006 after scoring 206 goals for Newcastle to make him their highest ever goalscorer. Laurent Blanc (born November 19 1965) is a retired French footballer who is accredited with scoring the first ever golden goal in World Cup history. Blanc’s career spanned twenty years where he played for some of the biggest clubs in Europe and was a revered leader on the pitch, earning him the nickname Le Président. On the international stage, he successfully represented France at the 1998 FIFA World Cup™ and the 2000 European championships, both tournaments ended with him successfully lifting the trophy. Blanc retired in 2003 after a spell with Manchester United. Luís Figo (born 4 November 1972 in Lisbon) was a Portuguese attacking midfielder and remains the country’s record cap holder with 127 appearances. After beginning his career at Sporting CP, Figo made the move to Spain and Barcelona where he won numerous domestic and European honors which culminated in winning the Ballon d’Or in December 2000. After a controversial move to rivals Real Madrid for a then world record fee of £37 million, Figo’s incredible success continued before he ended his career in Italy at Internazionale where he won four consecutive Serie A titles. Patrick Kluivert (born 1 July 1976 in Amsterdam) was a Dutch striker who, with 40 goals, holds the record as the Netherlands all-time top goal scorer. Regarded as a technically gifted striker, Kluivert also possessed great strength and excelled when playing with his back to the goal. 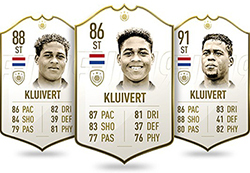 After winning the Eredivisie twice during three successful seasons with Ajax, Kluivert had a brief spell at AC Milan before moving to Barcelona where he really made his mark on the game. He scored 122 goals during his time at the Camp Nou and helped them to a La Liga title in 1999. Steven Gerrard (born 30 May 1980 in Whiston) spent the majority of his playing career as a central midfielder for Liverpool, with most of that time spent as club captain, as well as captaining the England national team. A versatile and well-rounded player, highly regarded for his leadership, Gerrard is the only footballer in history to score in an FA Cup Final, a League Cup Final, a UEFA Cup Final and a UEFA Champions League Final, winning on each occasion. Dennis Bergkamp (born 10 May 1969) is a technically gifted, former Dutch striker most famed for his spells with his home town Ajax and later at English side Arsenal. Nicknamed “The non-flying Dutchman” due to his fear of flying, Bergkamp’s career really took off at Ajax in the early 1990s when he scored 75 goals in just 91 league appearances. Bergkamp later moved to England where he joined Arsenal and became a key member of Arsenal’s “Invincibles” side. He is also remembered for scoring one of the greatest Premier League goals of all time against Newcastle in 2002. Lothar Matthäus (born 21 March 1961) is Germany’s most-capped international footballer with 150 appearances, including games in a record five different World Cups. After starting his career with Borussia Mönchengladbach, he made a controversial switch to Bayern München. He won the Bundesliga seven times in two spells with Bayern, on either side of four years with Inter which included a Serie A title. In 1990 Matthäus captained Germany to World Cup glory and, later that year, won the coveted Ballon d’Or. 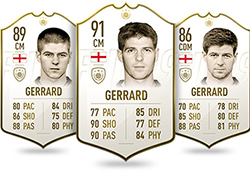 He ended his career with the MLS’s Metrostars and you can play with him now as one of the FIFA 19 Icons. Carles Puyol Saforcada (born 13 April 1978) is a retired Spanish defender and an FC Barcelona club legend. Puyol joined the FC Barcelona youth system in 1995 and made his first team debut in 1999. Taking over as captain in 2004, Puyol led FC Barcelona to 6 league titles and many cup successes. He won exactly 100 caps for Spain which included a career highlight of winning the 2010 FIFA World Cup™. Puyol retired in 2014 having made just shy of 600 first team appearances in FC Barcelona colours. Retired right-back Javier Zanetti (born 10 August 1973) is the leading Argentine cap holder. Despite having comparably short spells with Talleres and Banfield, it is Internazionale where Zanetti cemented his place as one of the game’s all time greats. He holds the record for number of appearances for an outfield player with 1123 matches, and famously captained Inter to five consecutive Serie A titles. 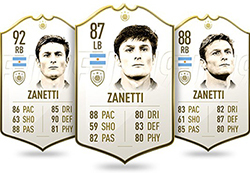 One of the games most respected professionals, Zanetti retired from football in 2014 and he’s now one of the FIFA 19 Icons. Alessandro Del Piero (born 9 November 1974) is a retired Italian football legend. He is most known for his time at Juventus, where he was and still is one of the most accomplished and respected players in the club’s history. He made his professional debut with Serie B side Padova in 1992 and in 1993 earned a transfer to Juventus, where he played for 19 seasons. Del Piero was revered for his attacking and creative play. He was most famous for his left sided attacks where he would dribble in from wide, cutting across the edge of the area and curling a finesse shot into the top corner. This was known throughout as the “Del Piero Zone”. Marcel Desailly (born 7 September 1968) was a defender and former national team record cap holder for France. He received 116 caps for his country and won both European Championship and World Cup winner’s medals. Desailly enjoyed European success with two different clubs in successive seasons with Marseille in 1993 and then Milan – where Fabio Capello converted him into a defensive midfielder, in 1994. After winning two Serie A titles in Italy, he made the move to Chelsea where he cemented his reputation as one of the best defensive players of the last 30 years. Sócrates de Oliveira (19 February 1954 – 4 December 2011), was a Brazilian footballer who played as an attacking midfielder. His medical degree and his political awareness earned him the nickname “Doctor Socrates”. 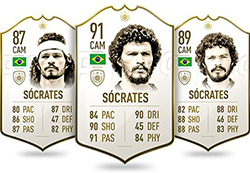 Easily recognizable for his beard and headband, Sócrates became the “symbol of cool for a whole generation of football supporters”. He was considered to be one of the greatest midfielders ever to play the game. In 1982, Sócrates captained Brazil in the FIFA World Cup™ finals and it didn’t take long for him to leave his mark. Facing the Soviet Union, the Brazilians found themselves one down deep into the second half. Collecting the ball outside of the area, Sócrates evaded the first challenge, jinked past the next defender and then riffled home a powerful effort into the top left corner of the goal. Things got even better for the Brazilians soon after when they scored an 89th minute winner. Ronaldo Luís Nazário de Lima (born 18 September 1976 in Rio de Janeiro) deadly mix of explosive pace, lethal finishing and dazzling skill made him one of the most feared strikers in the world. A three-time Ballon d’Or winner, Ronaldo Nazário became one of Real Madrid’s famed galácticos when he joined the club from the Italian league. He is the ambassador of the FIFA 19 Icons. Ronaldo de Assis Moreira (born 21 March 1980) was one of the last true bohemians of football. He personifies what Jogo Bonito is all about. With endless creativity and superb technique, the Brazilian attacking midfielder was equally capable to score a beautiful goal or to serve the perfect pass for his teammates to shine. Ronaldinho won the biggest trophies in the world and he did so while playing beautifully and with a smile on his face. Ryan Giggs (born 29 November 1973) is a retired one-club man and Manchester United’s record appearance holder. As an exciting left-winger, Giggs made his debut for United in 1991 and had amassed an incredible total of 963 appearances during his illustrious career when he retired in 2014. Giggs helped Manchester United win 13 league titles along with countless other club and personal honours. Giggs received just one red card in his career, for Wales for whom he gained 64 international caps. Roberto Baggio was born on 18 February 1967 in Caldogno, Italy. He was technically gifted, creative playmaker and a set piece specialist, renowned for his curling free-kicks, dribbling skills, and goalscoring. He was also known as Il Divin Codino (The Divine Ponytail), for the hairstyle he wore for most of his career, for his talent and for his Buddhist beliefs. 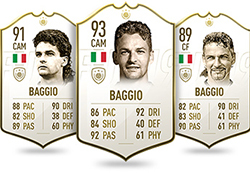 Baggio is the only Italian to score in three World Cups, and with nine goals holds the record for most goals scored in World Cup tournaments for Italy, along with Paolo Rossi and Christian Vieri. In 2002, Baggio became the first Italian player in over 50 years to score more than 300 career goals. 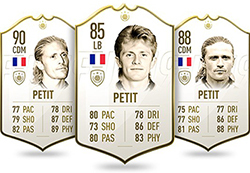 Emmanuel Petit (born 22 September 1970) is a retired French midfielder. During his early career with Monaco, Petit often played in defence, but cemented his position at CDM shortly before joining Arsenal in 1997. Known for his hardworking performances in the middle of the park – and with a strong left foot, Petit won the double with Arsenal in 1998. He helped France lift both the 1998 FIFA World Cup™, where he scored a memorable goal in the final against Brazil, and the Euro 2000 title. Petit joined Barcelona in the summer of 2000, but moved to Chelsea one year later before eventually retiring at the age of 35 after succumbing to injuries. Fabio Cannavaro (born 13 September 1973 in Naples) is widely regarded as being one of the greatest defenders of his generation. His career highlight came in 2006 as Cannavaro famously captained his country to World Cup glory with incredible displays which saw him nicknamed “The Berlin Wall”. A winner of both the Ballon d’Or and FIFA World Player of the Year in 2006, he went on to become Italy’s most capped player with 136 appearances for his country. After a successful club career which saw him win honours at both Parma and Real Madrid, he retired from the game in 2011. Clarence Seedorf (born 1 April 1976 ) was a Surinamese-born Dutch professional football, regarded by many as one of the best midfielders of his generation. He won several domestic and continental titles while playing for clubs in the Netherlands, Spain, Italy and Brazil. He is also considered one of the most successful players in UEFA Champions League history, as he is the first, and currently the only, player to have won the Champions League with three clubs. At international level, he represented the Netherlands on 87 occasions, and took part at three UEFA European Football Championships (1996, 2000, 2004) and the 1998 FIFA World Cup, reaching the semi-finals of the latter three tournaments. “The King of Football” Pelé (born on 23 October 1940 in Três Corações) was a winner of 40 club medals and countless individual accolades. Pelé is also the only footballer in history to have won three World Cup winners medals. With a ratio of just under 1 goal every game, Pelé ended his career with the unbelievable goal scoring record of 1282 goals in 1366 career appearances. Pelé still holds the world record for the number of league goals scored, and is widely accepted as the world’s greatest footballer ever. 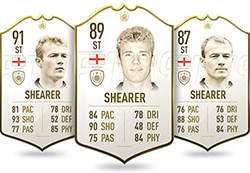 He was a legend and now he features on the FIFA 19 Icons. Ruud Gullit (born Rudi Dil, 1 September 1962) is a former Dutch midfielder. Gullit’s career peaked in the late 80’s when he was named European Footballer of the Year thanks to his exploits at PSV and later with Milan. 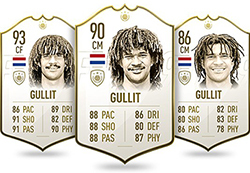 Equally famed for his flowing dreadlocks as he was for his unrivalled athletic ability, Gullit’s career highlight came in 1988 when he captained the Netherlands to their first major trophy as they won the European Championship that summer. He later ended his playing career by winning the FA Cup with Chelsea in 1997 as player-manager. Eusébio da Silva Ferreira (25 January 1942 – 2 January 2014) is considered as one of the greatest footballers of all time. During his professional career, he scored 733 goals in 745 matches. Nicknamed the Black Panther, he was known for his speed, technique, athleticism and his ferocious right-footed shot, making him a prolific goalscorer. Eusébio helped Portugal reach third place at the 1966 World Cup, being the top goalscorer of the tournament with nine goals. Shortly after Eusébio’s death, Alfredo Di Stéfano stated: “For me Eusébio will always be the best player of all time”. Paul Scholes (born 16 November 1974) is a retired English midfielder who spent his entire career with Manchester United. Officially the most decorated English footballer of all time, Scholes’ illustrious career saw him win 25 trophies. With a thunderous right foot and breathtaking passing ability, Scholes’ consistent performances for Manchester United cemented his place as one of the top Premier League players in history. Retired from international football in 2004 with 66 caps and 14 goals. Patrick Vieira (born 23 June 1976 in Senegal) is considered one of the best central midfielders of the last 20 years. A tough tackling enforcer, Patrick’s football career is littered with glory that most players can only dream about. As well as winning the World Cup in 1998 and European Championship in 2000 with France, Vieira won Serie A in Italy with 3 different clubs and was named in England’s PFA Team of the Year for six successive seasons as he helped Arsenal to 11 different trophies in his nine seasons with the club. Jari Litmanen (born 20 February 1971) is a retired attacking midfielder, widely regarded as the greatest Finnish footballer of all time. Litmanen started his career at Reipas and after stints at HJK and MyPa, he joined Dutch giants Ajax. It was here where Litmanen made his name and won countless domestic and European titles, scoring 96 goals in 179 league games in his two spells with the club. 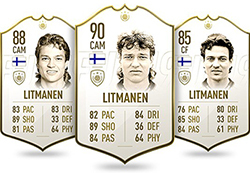 Litmanen later played for giants Barcelona and Liverpool and amassed a record 137 caps for Finland. Jens Lehmann (born 10 November 1969 in Essen) is a former German goalkeeper, who while at FC Schalke, became the first goalkeeper to score from open play in the Bundesliga. Five years later, in 2002, he won a Bundesliga title with Borussia Dortmund. After moving to North London a year later, he played in every game during Arsenal’s unbeaten Premier League season in 2003-04 earning him a Premier League winner’s medal. Lehmanns’ impressive performances for Germany during the 2006 World Cup saw him named in the FIFA All Star Team for the tournament. Ruud van Nistelrooy (born 1 July 1976 in Oss, North Brabant) is a retired Dutch striker. Ruud began his career in Holland where spells at Den Bosch, Heerenveen and PSV Eindhoven fuelled Manchester United to spend £19 million for his services. At Manchester United, van Nistelrooy cemented his place as one of the deadliest strikers in the world, scoring 150 goals in just 219 appearances. His career highlight came in 2002-03 as van Nistelrooy bagged a career best 44 goals, which helped Manchester United to the Premier League title, and Ruud to the Premier League Player of the Year award. 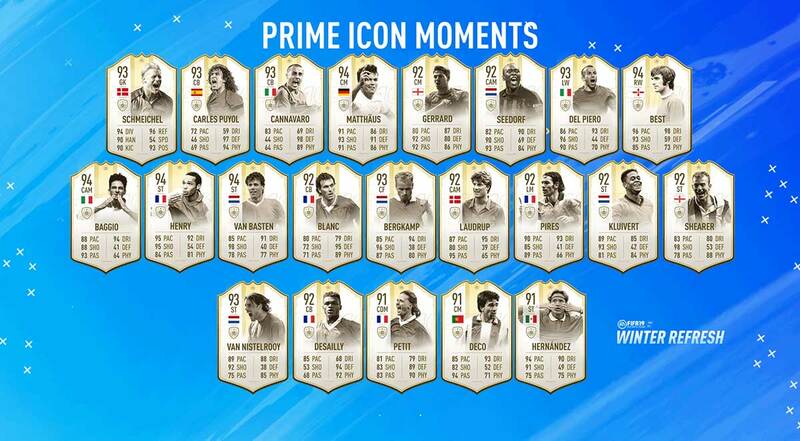 A: No, only select Prime ICONS Moment’s will receive a Prime ICON Moment SBC. 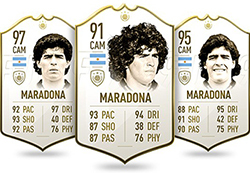 Q: I have a Prime ICON and now that ICON has been given a Prime ICON Moment SBC. Will i be able to use my Prime ICON in the Prime ICON’s Moment SBC? A: You will be able to submit your Prime ICON in that Prime ICON’s Moment SBC as part of the requirements to help you in your path to completing the Prime ICON Moment SBC. Hi, nice work mate! do you have any idea whether Shevchenko will be getting a moment? or Nesta? 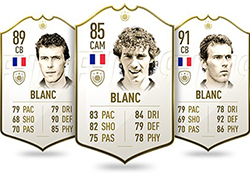 im holding out for one of these two atm, but if not I might try a Blanc. 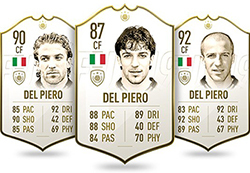 Already done the Del Piero one. Cheers! No, we don’t know. Sorry. Ahh no worries thanks! Do you think there will be a 3rd batch of moments at all or will that be it? 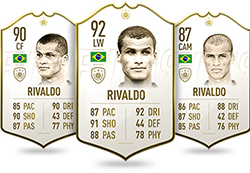 Salve Rodrigo, vorrei sapere con quale cadenza vengono inserite le sbc Moment? 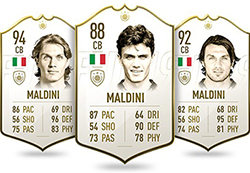 Ora che abbiamo passato il 50% del gioco, inserirete sbc Moment più spesso oppure continuerete così a rilento fino alla fine? Hi. We believe that EA will release a few new ones on the upcoming events. 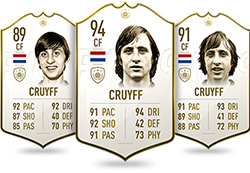 when will new prime icon moments come out? boa tarde! 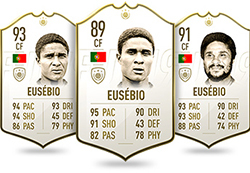 tinha o eusébio 91 e vendi para mais tarde ter possibilidade se fazer o sbc prime ou prime icone moment dele, será possivel saber se vão ser lançados? De acordo com a EA, só lançarão para alguns jogadores. Pode não ser o caso do pantera negra. Thank you. I agree with you but unfortunately, this is the description provided by Electronic Arts. Do you know which game it was and in which season? Thank you. The Thierry Henry moment doesn’t make any sense. 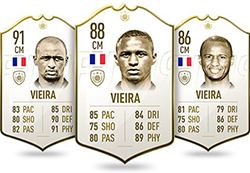 That’s the description for Vieira’s moment. Henry didn’t even play in the Man U game that game and Wiltord scored the only goal. It was Patrick Vieira’s defense that is supposed to be celebrated in that game. 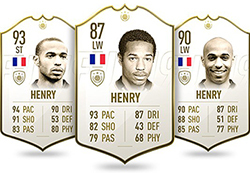 Oops… what is the real Thierry Henry moment??? We have fixed it now. Thank you. Hi Rodrigo! which is best: 90 vieri, 91 van basten or 90 nistelrooy? Yes, we will add that information to this page. Thank you for your suggestion. Hi Rodrigo, mi team is worth 1 600 000 and i think to sold my team and open packs tomorrow for the icon moments, what do you think? Terrible idea. Most likely, you will lose most of your coins. 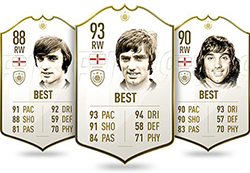 In the EA’s database, all ICONS have their won Moment item. However, we don’t know which ones EA will release. How much will the packs cost like how much coins, Fifa points ? Millions of coins. See here to know how many FIFA Points. 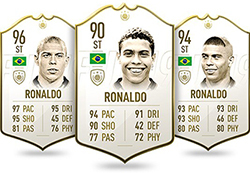 Rodrigo, poderei conseguir tirar esses novos Ícones em packs conquistados durante essa semana via SBC, ou somente nos packs comprados com FIFA Points? Em quaisquer pacotes. In any packs. 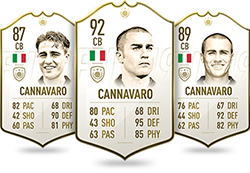 Do you know what EA means by the tweet “If an ICON has had a Prime SBC and is one of the select ICONS to get a Moments version, there will be an opportunity to use the SBC item when the Moments SBC gets released, later in FUT 19.”? Example, i have got Giggs prime, if he gets a Moments version will i need to do another set of SBC to get the Moments version? Exactly. 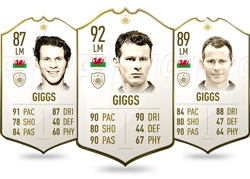 Basically, since you already spent a fortune on your Prime Giggs, EA will give the chance to upgrade to the Moments version using your Giggs item and probably something else more.